Making your stringed instrument the best for you! 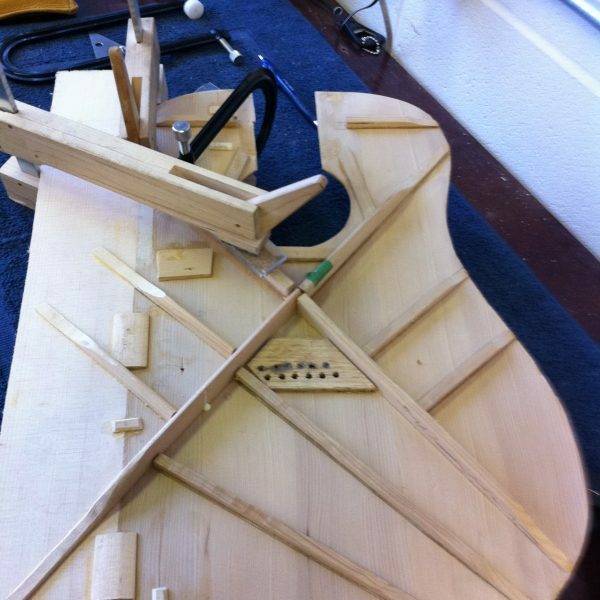 Most commonly the biggest issues our clients face with their instruments is simply a result of wood being wood. Calgarys’ climate can wreak havoc on even the highest quality wood. Let us explain to you the advantages and disadvantages associated with different style set ups, so you can make an informed decision and get your baby playing to match your individual style perfectly. One of the most popular as well as cost efficient way to immediately improve the sound and tone or your instrument is nut and/or saddle replacement. By upgrading the nut and saddle to a much denser, more consistent material, hand made to fit each unique instrument, we are able to enhance the transfer of energy. This gives you an instrument that will sound better, sustain longer, with an improved ability to project. Mods can be any modification to your instrument. 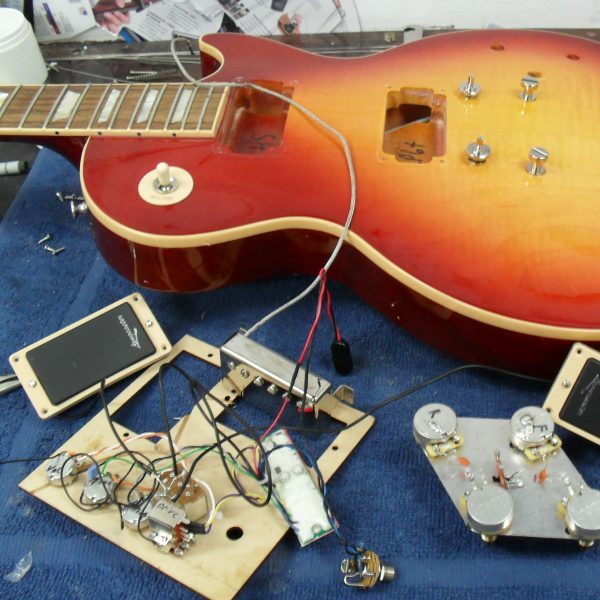 Whether its changing the tuners, bridge, frets or finish of your guitar you can achieve a lot of great results. However in my experience mods most often refer to changes to the electronics. With mods there are lots of options. 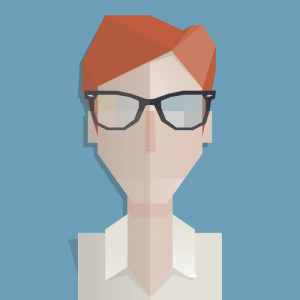 We’re more than happy to talk to you so we can figure out exactly what you’re looking for. There are lots of new directions your guitar can go when dealing with sounds. One of the bigger jobs we do at Guitar O.R. is a neck reset. 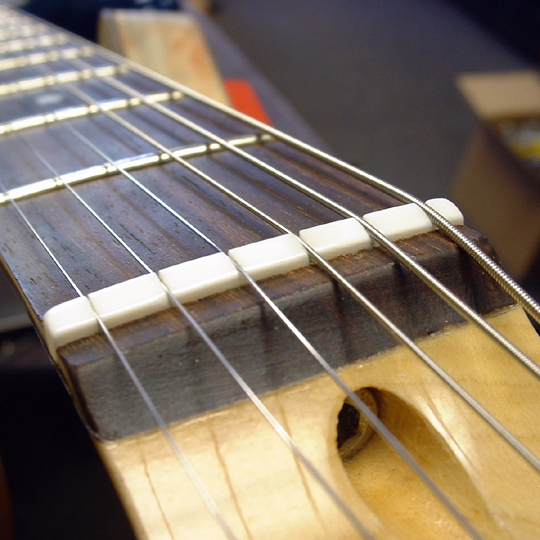 Over the life of any wooden instrument, the pull from the strings can actually move the neck forward. This causes the string height to be much higher, effecting pitch and greatly increasing the amount of physical pressure you have to apply with your fingers to play. A neck reset involves removing the neck from the body of the guitar and sanding off just enough wood from the heel of the neck to change the pitch or angle of the neck. Accidents happen, things break, and we can fix them! 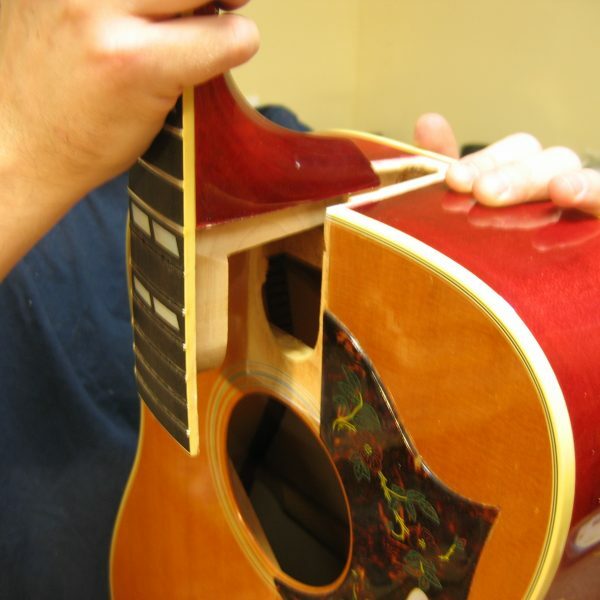 This is an example of rebracing a Fender Kingman acoustic guitar. 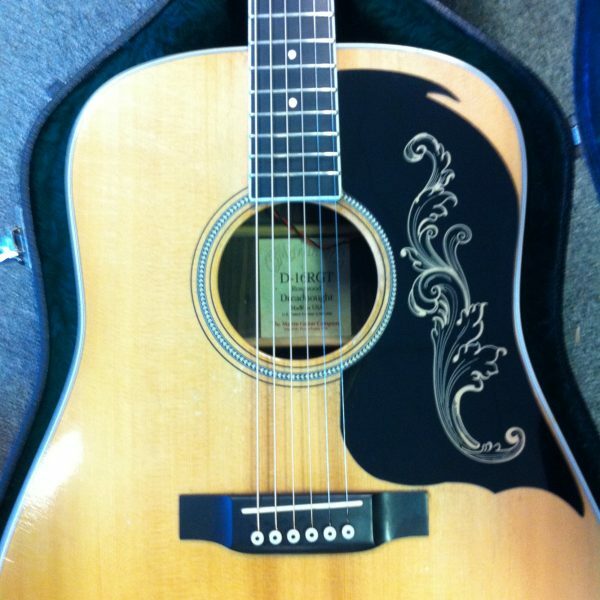 Guitar O.R also is one of the few shops in Canada that offers refinishing. Whether it be small touch ups to existing instruments or special circumstances requiring full refinishing. "Great job on my Fender Strat. Easy action, no more noise from the pickups. 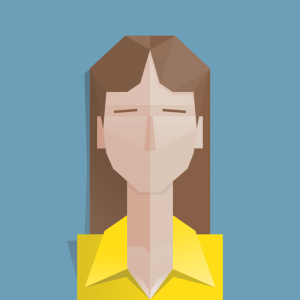 I’ll recommend you to anyone that plays." 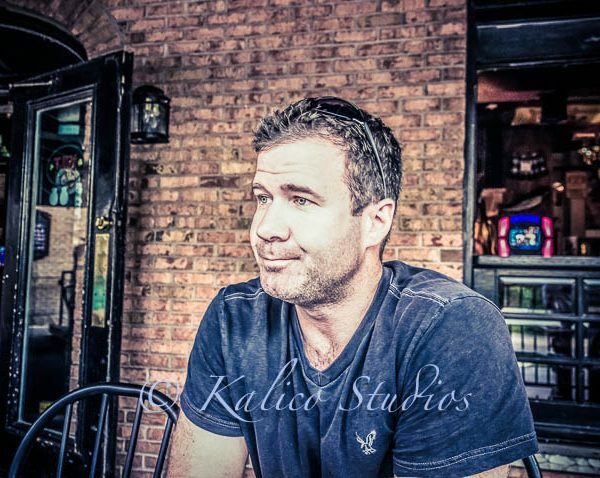 " Jarin is the go to guy in town. I've never been let down." 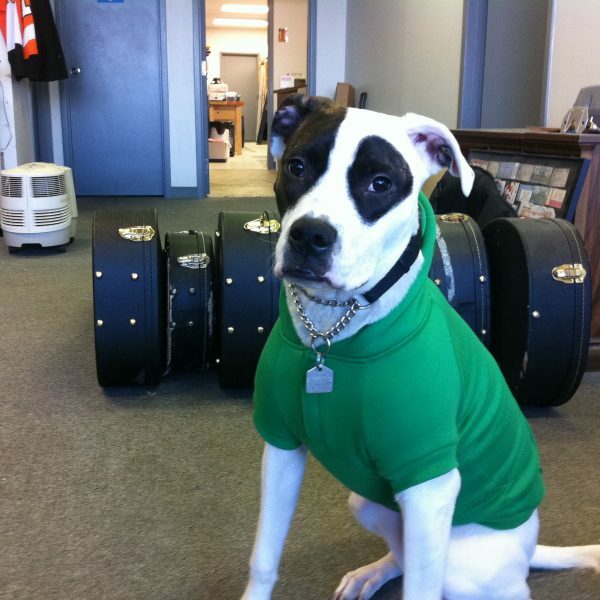 “I talked to other guys about fixing my Dads Gibson and they said it was beyond repair. It wasnt, and I couldn't be happier. Guitar O.R is amazing. Thank you thank you." “I wouldn't trust anyone else in town." “I know nothing about guitars, so when my son damaged my husbands, I was lost. Jarin took the time to explain the options to me without talking down to me. I would highly recommend Guitar OR"
“The best shop in town. No doubt"
“Great Job guys. Thanks SO MUCH!! I'll be spreading the word"
I thought my mothers mandolin was beyond repair. It’s an amazing instrument now. Thanks a lot for the work and care you put into it. My entire family thanks you. Bella is an American Bulldog. She has been with Guitar O.R. since March of 2011. Her specialty is greeting our many clients, destroying various toys, giving kids kisses and generally sleeping, mixed in with sudden bursts of energy resulting in laps around the shop. Welcome to the website of Calgary’s independent Guitar Repair shop. 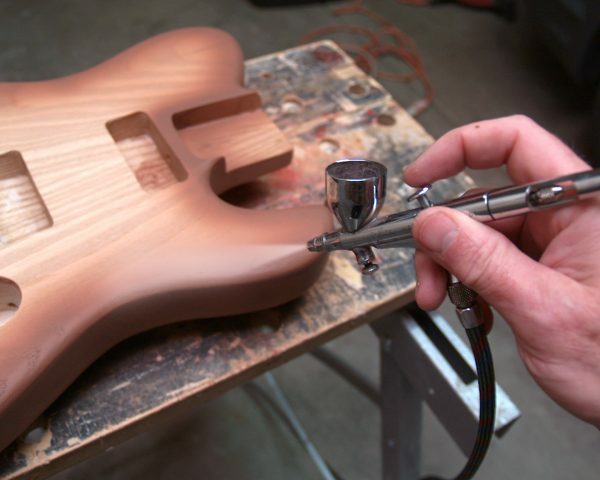 We offer a full line of Luthier services from the basic to the anything but basic. From acoustic and electric guitars to basses, banjos and mandolins. Any number of issues could be holding you back from your instrument playing its absolute best. If it has strings, we've worked on it. So if you find that your beloved instrument isn’t feeling the way you expect then you’re probably due for some service.